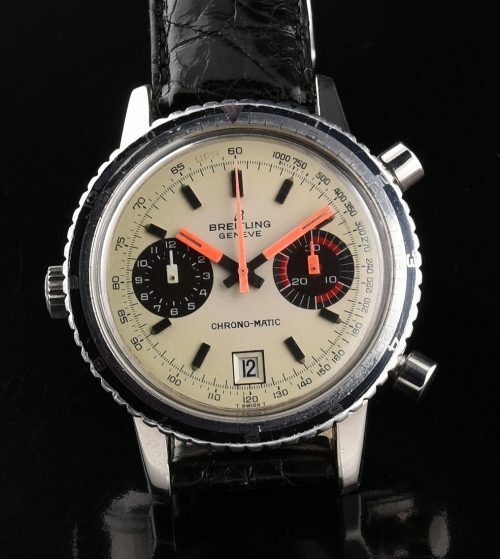 I will regret selling this all original circa 1969 BREITLING Chrono-Matic automatic caliber 11 micro-rotor chronograph. You just don’t find vibrant and ORIGINAL neon accented dials such as this very often. The neon handset is original. The black and silver printed bezel reflects light in my photo but in real life is rather clean and is without any major wear. The original BREITLING crown remains. The 40mm. and 13.7mm. thick case is without any major flaws. The caliber 11 was the FIRST automatic chronograph movement sold. 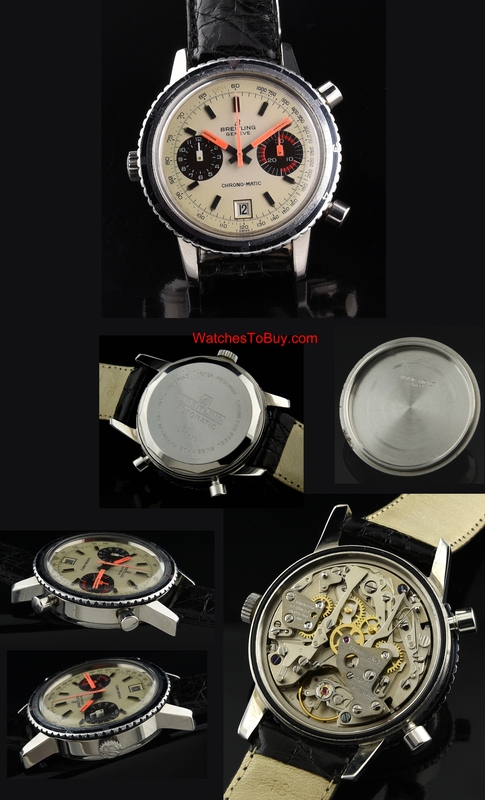 This watch is keeping accurate time with the chronograph functioning properly. I’m not going to embellish this watch any more. You will thank me in the future. A true collectable piece for only $3450.